Posted on 10/06/2016 by Jeremy Bailey	in Around Town and tagged baseball, Los Angeles Dodgers, Major League Baseball, Nationals Park, playoffs, Washington Nationals. Your Washington Nationals are in the Big Dance! The Major League Baseball playoffs got underway on Tuesday, October 4th with the Toronto Blue Jays beating the Baltimore Orioles (sorry, no bird puns today). Now it’s time for the Nationals to show us what they’re made of, as they take on the Los Angeles Dodgers Friday, October 7th for Game 1 of the NL Division Series. After six months of consistently good baseball, and a NL East Division crown, your Nationals are poised to actually do more good things in the post-season. They excelled despite a down year for Bryce Harper (.243 BA and 24 HRs after hitting .330/40 HRs in his MVP 2015 season) and late season injuries to Stephen Strasburg. 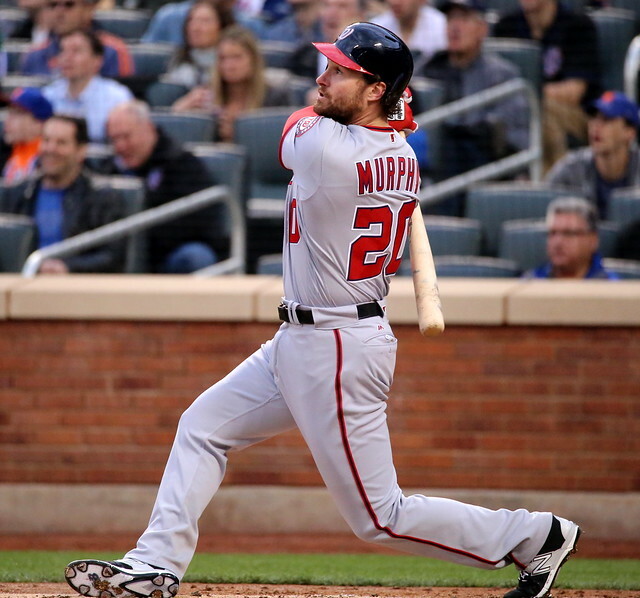 The stories of contributors are many, but Daniel Murphy (2B) put up a MVP-like season (.347 BA and 104 RBIs). Trea Turner (OF) came in and dominated at the plate the second half of the season (he helped me win my fantasy league…). While Max Scherzer could be the favorite to win another Cy Young Award with his 20-7 record, 2.96 ERA and 284 SOs. Check for home tickets here, or look for resale options. Posted on 09/26/2016 by Jeremy Bailey	in Around Town and tagged Arizona Diamondbacks, baseball, garden gnome, Miami Marlins, MLB, Teddy Roosevelt, Washington Nationals. 11 things to look forward to during the last Nationals’ homestand of 2016. 1) NL East Division Champs! Your Nationals clinched the division crown last Saturday. Pop the champagne and jump around in joy! 2) Playoffs. After this homestand, the Nationals are headed to the 2016 MLB postseason. They will most likely play the Los Angeles Dodgers in the NL Division Series starting October 7th. Standing room only tickets are available here. 3) Garden Gnome. Get your stylish Ben Revere gnome on Tuesday, September 27th! 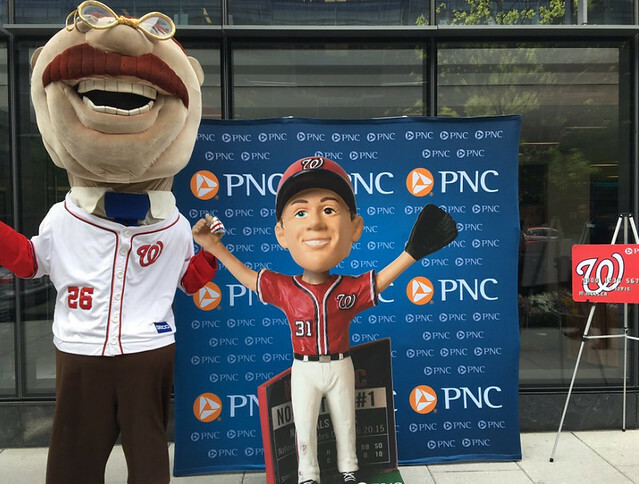 Posted on 09/05/2016 by Jeremy Bailey	in Around Town and tagged Atlanta Braves, baseball, bobblehead, MLB, New York Mets, Philadelphia Phillies, stein, Teddy Roosevelt, Trea Turner, Washington Nationals. 1) Budweiser Music Party. For Labor Day, on September 5th, the Nationals will host a pregame music party starting at 1:30pm. There will be a mechanical bull and the stylings of Joe Bachman & The Tailgaters. Ticket includes a game ticket, concert and a Bud. 2) Trea Turner. Named NL August Rookie of the Month! His 45 hits in August are a Nationals rookie record for a calendar month. He hit .357, scored 27 runs and had an incredible 11 stolen bases! Posted on 08/24/2016 by Jeremy Bailey	in Around Town and tagged Baltimore Orioles, baseball, Colorado Rockies, MLB, Washington Nationals. Eight things to look forward to on the Nationals’ homestand. Posted on 07/04/2016 by Jeremy Bailey	in Around Town and tagged America, apple pie, baseball, Independence Day, July 4th, Washington Nationals. Today the United States of America turns 240. Getting up there, but like baseball and apple pie, still good after all these years. Posted on 05/09/2016 by Jeremy Bailey	in Around Town and tagged baseball, bobblehead, Bryce Harper, Detroit Tigers, Miami Marlins, MLB, Nationals Park, Washington Nationals. 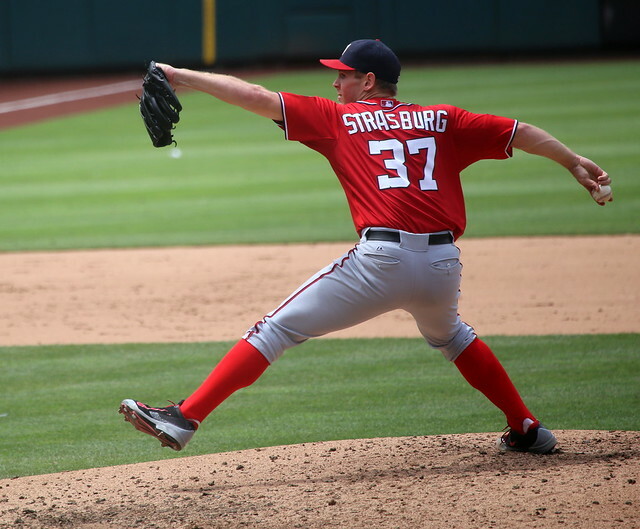 Stephen Strasburg pitches twice this week. See him both games. 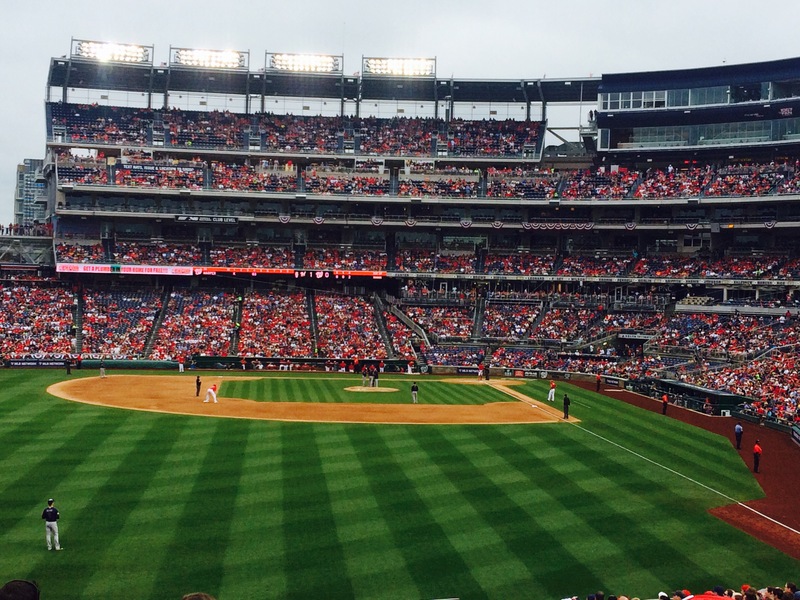 11 things to look forward to this week with the Nationals playing at home. $1 Hotdogs on Tuesday, May 10th. A free finely crafted Bryce Harper bobblehead on Wednesday, May 11th. A 2nd place team glad not to be playing the Cubs anymore. Yikes, a 4-game sweep. A doubleheader on Saturday, May 14th! $5 Beer (in the Budweiser Terrace) up until 35 minutes before first pitch. Calvin Coolidge joining the Racing Presidents. Six Commanders in Chief in one place! A possible Ichiro sighting (with the Marlins). He only needs 53 hits to reach 3,000!